Emergency dispatchers for the communities of Keller, Colleyville, Southlake and Westlake have new bragging rights this summer after the Commission on Accreditation for Law Enforcement Agencies awarded NETCOM 911 its prestigious National Public Safety Communications Accreditation — the first for a regional dispatch center in Texas. The Keller-based Northeast Tarrant Communications Center serves about 100,000 people across more than 60 square miles and is accustomed to making history. It was the first regional dispatch center in Tarrant County when it launched in 2007, and the first agency in the country to roll out enhanced emergency location and messaging capabilities through the app-based SirenGPS system in 2016. The new honor — the gold standard for public safety credentialing — was confirmed during CALEA accreditation hearings in late July in Grand Rapids, Michigan. Founded in 1984, CALEA’s accreditation program focuses on increasing community and staff confidence in their public safety departments. The National Public Safety Communications Accreditation holds departments accountable to more than 200 industry standards and best practices, and has been achieved by only about 5 percent of dispatch centers nationwide. In Texas, NETCOM 911 is the sixth dispatch center to earn the recognition and the first regional organization to do so. With a staff of 21, it’s also the smallest team in the state to make the grade. For more information about the Commission on Accreditation for Law Enforcement Agencies, visit www.calea.org. Congratulations to the newest group of Carroll ISD students selected to Southlake Kids Interested in Leadership (S.K.I.L.) for the 2017-2018 year. Students of the program are selected from the Carroll ISD junior high school at the beginning of each academic year. The program allows students to participate in a meaningful way to make the Southlake community better. “This is the third year for the program and it’s already been a huge success. The students in S.K.I.L. are our future leaders of tomorrow,” said Mayor Laura Hill. Training future leaders brings in a new generation of fresh ideas and helps to foster an interest in good government. “We are excited to welcome these future leaders and looking forward to a year filled with lots of learning and educational experiences for the group,” said Deputy Director of Economic Development & Tourism Daniel Cortez. The selected students are: Meghan Bakoo, Julia Bramlage, Pranav Chandupatha, Jonathan Ciccone, Devan DeLugo, Kennedy Erikson, Charlotte Lanier, Reagan Larimer, Samantha Lowe, Pranav Manjunath, Sebastian Poorman, Peyton Proksch, Logan Reid, Samuel Salazar, Sahaj Singh, Jack Tucker, Nolan Midolasik, James Wade, Cameron Waltz, Hannah Xu. For more information about the S.K.I.L. Program click here. Petty is a founding member of the Real Estate Council and the second chair of the organization. 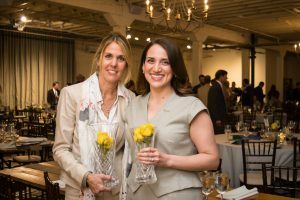 “She was part of a small group of women that formed the Commercial Real Estate Women’s Network over 30 years ago and has continued to serve as a staunch advocate for women working in commercial real estate,” Fox said. Previous award winners have included former Fort Worth Mayor Bob Bolen.